I want to thank you for taking the time to check out these Off Board Artillery Access Cards. As with most projects of this nature, it has been a labor of love. The origin for me was listening to a podcast of The 2 Half Squads and hearing that they were selling OBA cards. I proceeded to the website to buy a set only to find that they were out of stock, so I decided to make a set for myself. 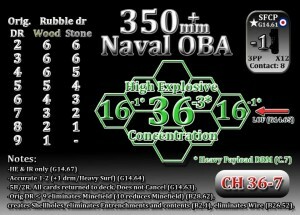 Very simple at first, maybe a picture of an explosion with black or red on the other side (similar to those available on the Desperation Morale sight) with plans to laminate them at Staples. Then I thought ‘what if I add some info on the cards’? Pretty soon the deck of 15 cards had grown into plans for a 1000+ card deck including separate cards for every nation in every caliber with original artwork for each. Needless to say that I came to my senses and with a lot of help from Andy Hershey, Mika, Nadir, and the Triad Area ASL Group I settled on what we have now. All calibers are included but not by nation which gives us a reasonable 262 card set. The back of each card has original artwork that represents an example of that caliber. The amount of cards given for each module type is dictated by the largest deck type possible based on nationality. So first we check if a given module type is available to the U.S. player because they have the largest possible draw pile. If it is, then there are 15 cards for that module included in the kit. 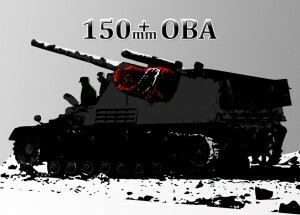 If not, then we check if it is available for the German player (next largest). 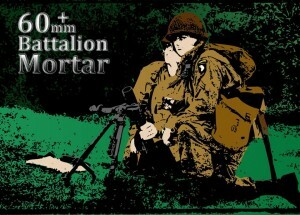 If it is available to the German, then there are 14 cards for that module included in the kit. This continues with the British next, etc.. The numbers include extras in the case of pre-registered fire, plentiful ammunition and scarce ammunition (eg. 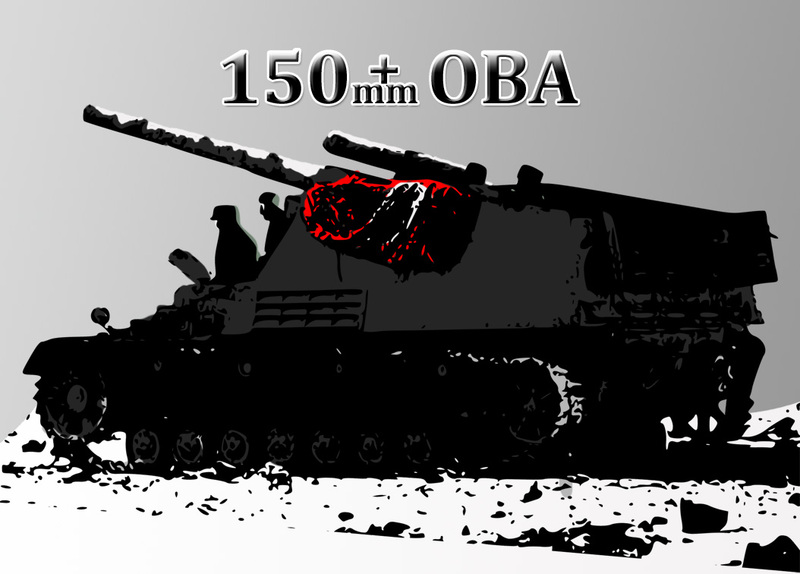 200mm Rocket OBA has 14 cards because the largest nationality is German (this module is not available to the U.S) with 8B/3R, +1B for possibility of pre-registered fire, +1B for possibility of plentiful ammunition, +1R for possibility of scarce ammunition = 10B/4R). 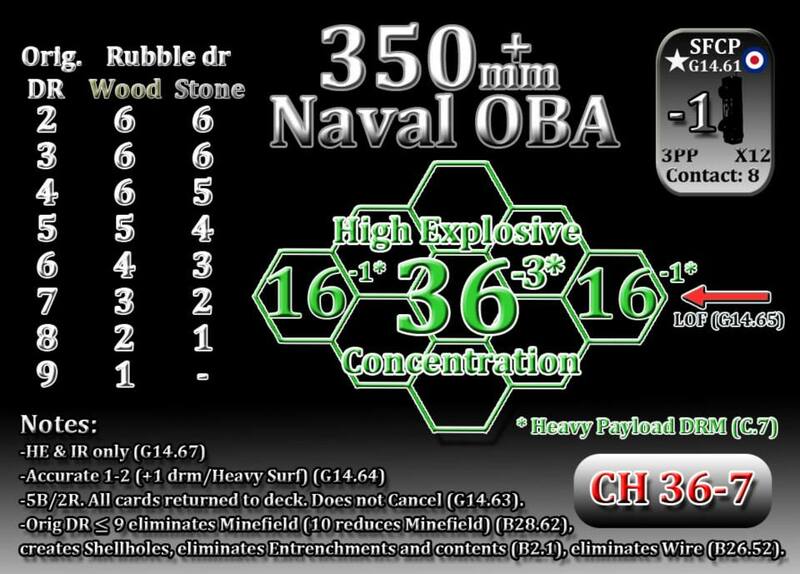 Note that Naval OBA modules always have a fixed draw pile of 5B/2R. The decks are broken down into 4 basic groups. 60mm Company 15 (11/4) U.S.
80mm Battalion 15 (11/4) U.S.
One player shuffles until the other player calls out a number. 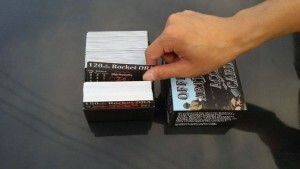 The shuffling player flips that number of cards to reveal the chosen card. Please note that although this set does work in conjunction with ASL and other tactical war games, it is NOT an official Advanced Squad Leader product.